PALO ALTO, Calif., Aug. 16, 2016 – Ford today announces its intent to have a high-volume, fully autonomous SAE level 4-capable vehicle in commercial operation in 2021 in a ride-hailing or ride-sharing service. Building on more than a decade of autonomous vehicle research and development, Ford’s first fully autonomous vehicle will be a Society of Automotive Engineers-defined level 4-capable vehicle. Plans are to design it to operate without a steering wheel, gas or brake pedal, for use in commercial mobility services such as ride sharing and ride hailing within geo-fenced areas and be available in high volumes. 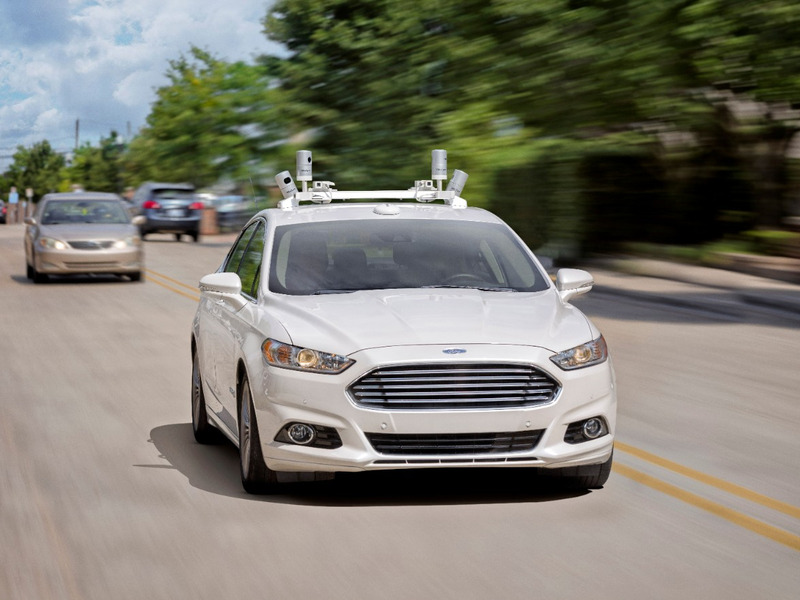 This year, Ford will triple its autonomous vehicle test fleet to be the largest test fleet of any automaker – bringing the number to about 30 self-driving Fusion Hybrid sedans on the roads in California, Arizona and Michigan, with plans to triple it again next year. Ford was the first automaker to begin testing its vehicles at Mcity, University of Michigan’s simulated urban environment, the first automaker to publicly demonstrate autonomous vehicle operation in the snow and the first automaker to test its autonomous research vehicles at night, in complete darkness, as part of LiDAR sensor development. Ford also is expanding its Silicon Valley operations, creating a dedicated campus in Palo Alto. Adding two new buildings and 150,000 square feet of work and lab space adjacent to the current Research and Innovation Center, the expanded campus grows the company’s local footprint and supports plans to double the size of the Palo Alto team by the end of 2017. Since the new Ford Research and Innovation Center Palo Alto opened in January 2015, the facility has rapidly grown to be one of the largest automotive manufacturer research centers in the region. Today, it is home to more than 130 researchers, engineers and scientists, who are increasing Ford’s collaboration with the Silicon Valley ecosystem. Research and Innovation Center Palo Alto’s multi-disciplinary research and innovation facility is the newest of nearly a dozen of Ford’s global research, innovation, IT and engineering centers. The expanded Palo Alto campus opens in mid-2017.